Bess is Carol McManus' second historical novel. 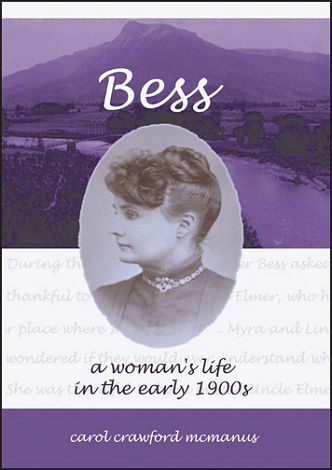 As with Ida, Carol's award-winning and best-selling first novel, Bess is based on the author's close observations of pioneer women living and working in western Colorado during the first part of the twentieth century. Life in those days was filled with determined women who tried to make a better life for themselves and their families. As opposed to their Victorian counterparts, who were for the most part resigned to their stations in life, the women of Bess' time began to develop a sense that they and their children could become successful if only they were willing to work hard enough. Bess herself was orphaned as a young girl and was forced to move in with her aunt and extremely stern uncle. She was determined to fulfill her mother's dying wish that she obtain a proper education. She and her husband struggled through cold, harsh winter snows, and summer droughts--raising sheep in an area controlled by cattlemen. All of her trials led her to realize that the life she dreamt of was the life she already had.